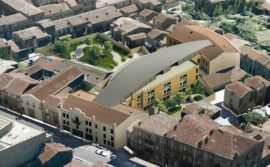 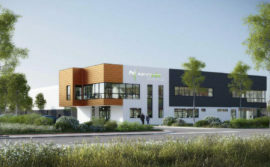 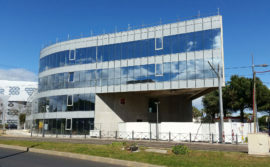 SEQUABAT, which specialises in the design and construction of turnkey projects involving business, commercial and residential property, has just started work on a project developed by the housing arm of the IDEC Group, FAUBOURG IMMOBILIER. 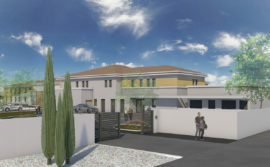 This project including 49 homes in multi-units and a detached house will be home to the first inhabitants in the final quarter of 2019. 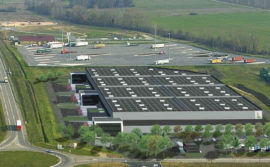 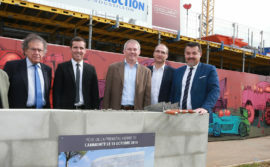 FAUBOURG IMMOBILIER and SEQUABAT have just started work on a joint project to build homes near Paris. 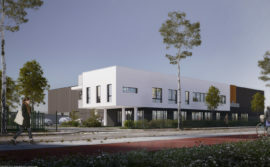 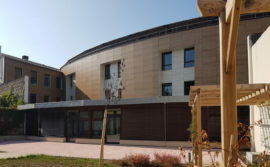 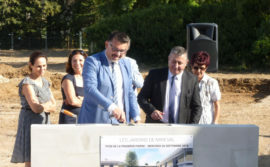 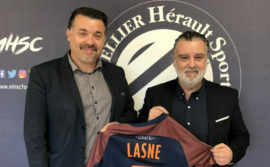 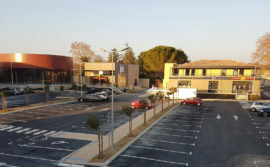 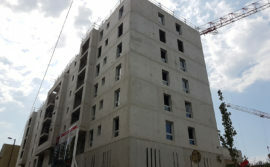 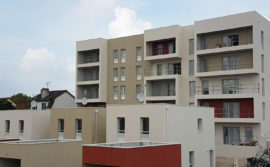 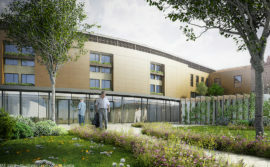 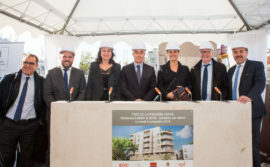 This new scheme, LUMIN’ & SENS, on which work has just begin in Asnières sur Seine confirms the cross-disciplinary approach between the two firms in the IDEC Group, which is applied in the construction of all sorts of housing projects from student accommodation with 160 rooms in Nogent sur Marne to a luxury residence developed in Deauville. 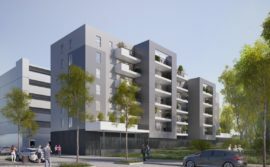 This LUMIN’ & SENS scheme developed in the heart of Asnières sur Seine close to all sorts of amenities and public transport links, is being built on a ground surface of almost 3500 m². 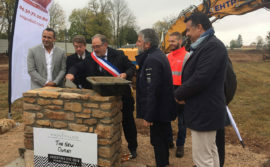 On completion, it will offer 49 homes in multi-units, a detached house and an equal number of parking spaces in the basement or on the ground floor. 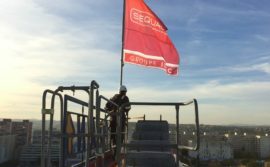 The SEQUABAT work teams have been busy since February on this project, monitoring the demolition of the previous building to allow the erection of this new housing scheme. 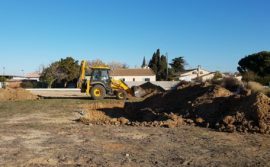 Work is now focusing on the special foundations, with concrete due to be poured in over the coming days. 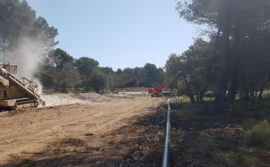 This work requires close attention due to the proximity of neighbouring blocks, and so special work has been done with the injection of an expanding liquid into the ground before the ground is levelled. 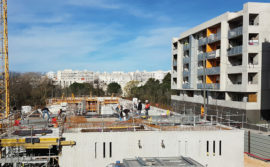 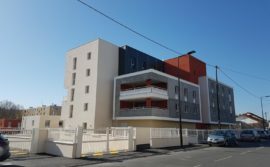 The main structure is due to be completed in January 2019 with the handover to FAUBOURG IMMOBILIER scheduled eleven months later. 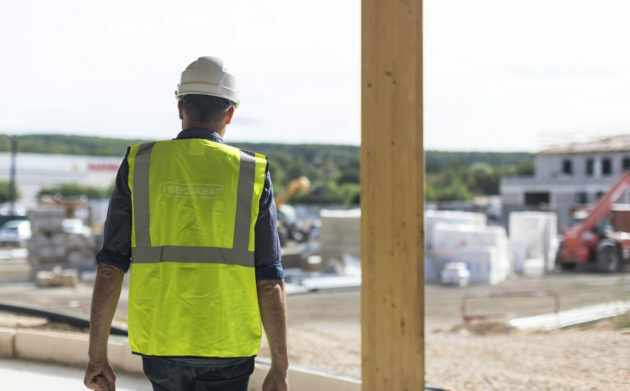 The project has started with some bold technical choices. 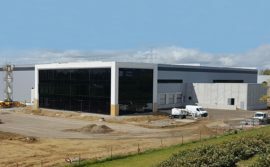 Renewable energy equipment is being fitted, with in particular solar panels, green walls, trees and a communal greenhouse on the roof. 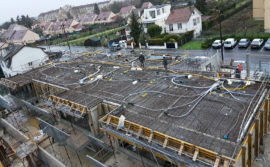 The choice of materials also underlines the exclusive nature of this property project, such as the shaped concrete on the ground floor, the zinc frontage and the LUMICENE window frames.